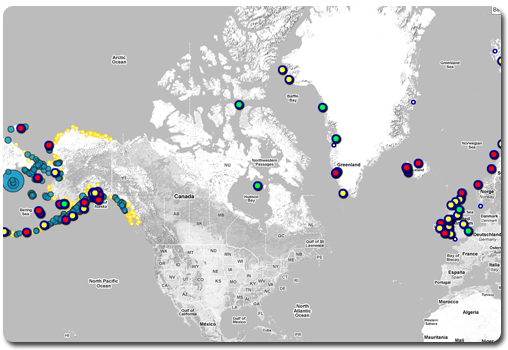 The Circumpolar Seabird Data Portal is an interactive map that displays seabird colony, population, and diet records throughout the cirumpolar north. This is a work in progress. Many of the colony data have errors and will be fixed in the next few months.